Enter any gym and you’ll probably spot at least one or two people in the weights area practicing their deadlifts. It may look like hard work and it may look like something that only the fittest and strongest can manage but in truth, the deadlift is for everyone. You may need to start small or spend time practicing your form without the weights to begin with but soon it will feel like the norm. You’ll be working deadlifts into your routine every time you visit the gym. What are the benefits and why should you do it? Some people will tell you that the deadlift is a leg exercise whilst others will tell you it’s a back exercise. In fact, it is a compound move - an everything exercise. When you carry out a deadlift, you use every muscle in your body - from your arms as they hold the barbell and keep it in the correct, stable position - to your shoulders which help to stabilise the barbell too. You will also use your back and core to keep your entire body braced, tight and stable and secure your spine; and your legs and back (your posterior chain) act as a lever as you lift. 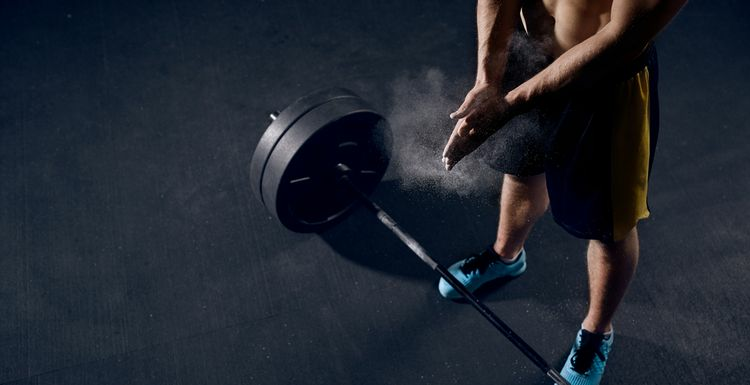 Whatever you’re working on, your deadlift will help. There is no simpler way of finding out if you can or if you can’t lift the weight in front of you. Of course you have to lift properly and use the correct form but the deadlift is the most straightforward way of doing this. There is no other movement in a regular workout regime as natural as a deadlift, except perhaps the squat, and it has a real function and therefore, anyone can perform it or at least make an attempt. The process of bending down and picking something up will occur in your everyday life, even if your form isn’t spot on. As you build your deadlifting form in the gym you’ll soon see this transposed into your everyday life and those daily tasks including lifting and carrying groceries and even gardening will feel easier than ever before. You lower back should be kept in the neutral position, rounding your lower back can be dangerous and put you at risk of injury. You should keep your arms straight at all times, to avoid tears and damage in your biceps. Keep the bar close to your body, letting it move away from you will further pressurise your back. There is never a session which doesn't involve at least some deadlifts for me, it's an absolute staple. The weights area at our gym is a good mix of men and women too which is great. Don't neglect the weights, they'll really help you with all round fitness. Shame I don't see a lot of women deadlift. In fact, they are very rarely in the weights section. Weights are great - girls don't be put off. Great for toning! Compound exercises seem to be far more beneficial than isolation ones. I prefer this type of workout.